Anger management CDs are for you if you don't like to read, have a long commute, or like to learn while working out or doing other daily tasks. You can listen to free previews of most of our programs, buy the CDs, or download them to your computer or MP3 player for immediate listening. Check out our newest release! 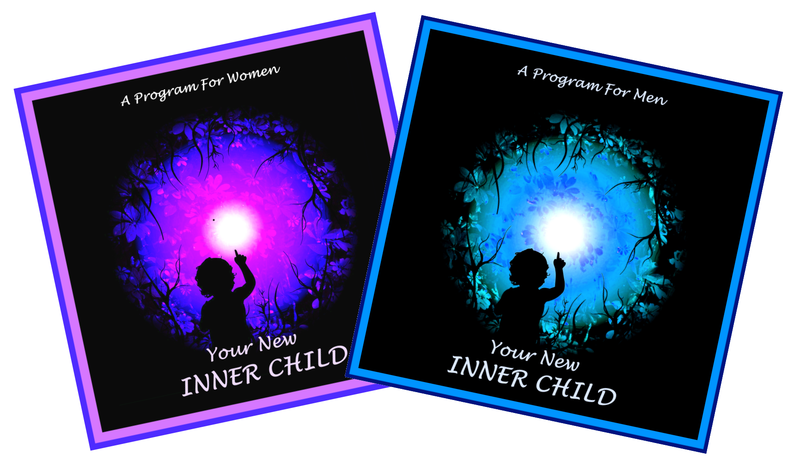 'Your New Inner Child' now available at discount price of $9.95! By the way, are you a returning customer? If so, we want to hear from you! Are you fed up and can't take any more? Well, the good news is that you have the solution right in front of you! Learn how to become your own best anger management resource by acquiring the skills and methods for managing and healing your anger. Don't miss this great opportunity! 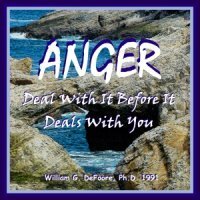 There are lots of anger management audiobooks out there, but before you move on, take a look at the incredible amount of information available on this single anger management CD/download! "I am working here at the Namgis Treatment Centre in British Columbia, as one of the alcohol and drug counselors. 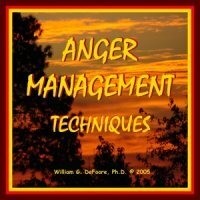 I would like to share this Anger Management Techniques E-book with our clients. Thank you very much for allowing me to read this. I find this E-book very informational." Regards, Gloria, substance abuse counselor. A powerful and effective four-CD/audiobook program addressing anger management, rage addiction and depression. Learn specific skills for dealing with your anger, overcoming rage, and creating positive, fulfilling relationships. This audiobook will help you to understand anger and depression and how they affect your health. You will also learn powerful tools for healing your anger issues and expressing all of your emotions in healthy ways. Listen to a free preview below! These anger management CD/audiobook help you to understand anger and depression and how they affect your health and your overall happiness. 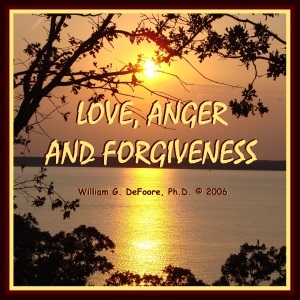 This program will help you understand how to completely and totally forgive once and for all. You will also learn how anger is not bad, and how forgiveness can actually be a problem if you rush into it. Listen to a free preview and get your copy now! This unique and dynamic CD/audiobook will help you to understand the essence of love, anger and forgiveness in all of your relationships. While it might seem that anger and forgiveness are the exact opposite of each other, you might be surprised to find that healthy anger and true forgiveness have a lot in common! Check out the list of tracks below, and you'll catch a glimpse of the incredible value in this program. These CD/download program will give you the emotional freedom, intimacy and close connection you are looking for in all of your important relationships! These anger management CD/audiobook will help you understand how healthy anger is not only helpful, but absolutely essential to setting boundaries and standing up for yourself when you need to. You'll also learn about how healthy anger is good for you, and how unhealthy anger can hurt your heart and contribute to many different types of illnesses. 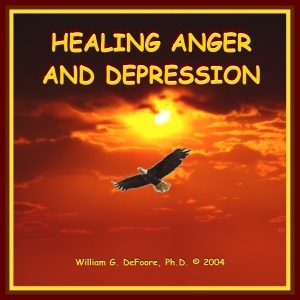 This powerful CD/audiobook program will help you to tap into the incredible healing power of your anger and all of your emotions. Healthy anger doesn’t look, sound or feel like anger as we’ve come to know it. Healthy anger is tremendously powerful energy that fuels effective action. Make your emotions work for you instead of against you in this powerful, uplifting and informative program. Healthy anger? Most people have no idea what that is! 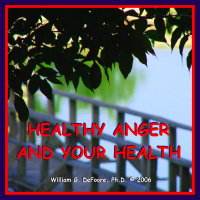 Well, this audiobook will show you how healthy anger is the fuel for effective action! Have you ever gotten mad about something, then got busy and solved the problem--without raising your voice or attacking anyone? That's healthy anger! 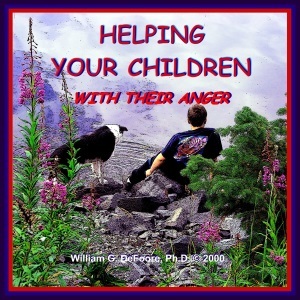 This excellent anger management audiobook will give you the basics you need as a parent, to teach your children successful anger management. You will also learn how you as a role model (useful for teachers and caregivers as well) affect your child's anger and anger management skills. You are one of the best anger management resources that your child or adolescent has, and it is your good heart that will motivate you to learn the skills to help them. Make the decision today to get started! 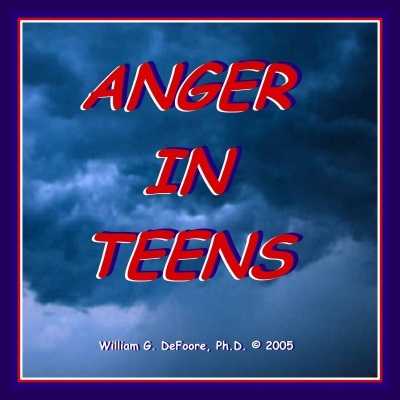 Having trouble with an angry teen or two? These anger management CDs for teens will give you the help you need to understand what's going on and take care of the situation. You're reading this because you're a good person, and you want to help the teens in your life overcome their anger problems and become emotionally healthy. Well, you've come to the right place! Listen to the free previews below. Learn how you can become more skilled and helpful in dealing with the angry teens in your life. This CD/audiobook program will inform and empower you to become a positive leader in your relationships with adolescents, guiding them toward a healthy, happy future. You will really get your money's worth with these anger management CDs. 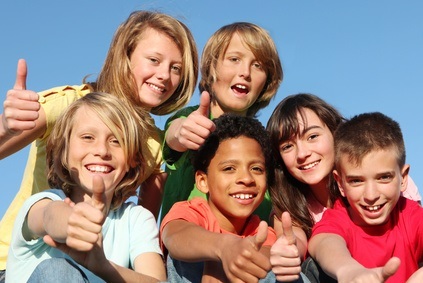 Dr. DeFoore shares his 40+ years of experience working with teens and families to give you what you need for quick relief and lasting control--and what your teens need for quick relief and lasting control! 2. Why Are Teens So Angry? Read the testimonial below, from a woman who found this program to be very helpful in dealing with her daughter and restoring peace to her home. One of the greatest causes of anger in teens and adolescents is the process of becoming an adult. This transition is usually ignored, and that contributes to a lot of confusion, frustration and misunderstanding for adolescents and their parents. 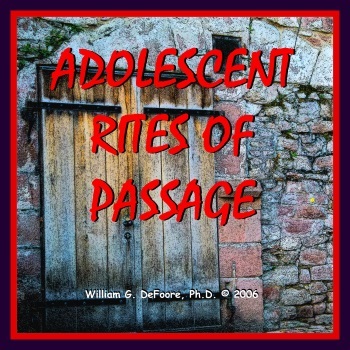 These anger management CDs focused on adolescent rites of passage will tell you exactly how to address and resolve this problem. Listen to a free preview now. Learn in this anger management CD/audiobook how to honor the adolescents in your life by creating meaningful rituals, celebrations and ceremonies that commemorate their movement from childhood to adulthood. Have you ever noticed that the person in your life who can push your buttons better than anyone is usually your spouse or loved one? Why do police officers tell us that the most dangerous calls they can make are cases of domestic violence? Because there is more love there, and love is the emotion that is behind most anger. And it's love that is behind those buttons. 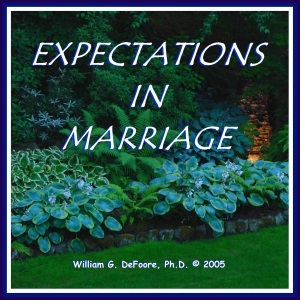 Find out what to do about those expectations in your marriage or relationship by listening to these anger management CDs/downloads. So! Don't wait a moment longer! Get your copy of these anger management audiobooks for couples now! Whether you know it or not, you're often playing a role in your marriage or relationship--and it really helps if you know what it is! Learn about the many roles we play with our partners, and how you can make those work for you to create lasting love and happiness. These are not necessarily anger management CDs, but they will certainly help you build and strengthen your connection with your loved one, which will of course help you to prevent anger! This CD/audiobook program will help you to develop highly effective communication skills, create romance on an ongoing basis, bring fun and creativity into your relationship! One of the greatest causes of anger problems in marriage and couples' relationships is sexual difficulty. Sexuality is natural and healthy, and an important part of our overall health. Add this to your collection of anger management CDs now! 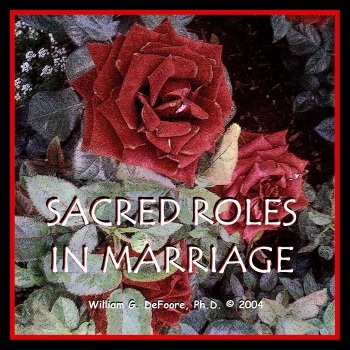 In this helpful and healing CD/audiobook program, you will learn to accept yourself as a sexual being and strengthen your sense of connection with your spouse or partner. Love is who you are, and when you make love you are coming closer to your true identity and spiritual nature. Dr. DeFoore’s frank and sensitive style will guide you to a greater understanding of the true art of making love and establishing deep sexual intimacy. Learn practical, easy skills that will help you connect with your partner in fun and fulfilling ways. The more inner calm and relaxation you can master, the more successful you will be in all of your anger management efforts. 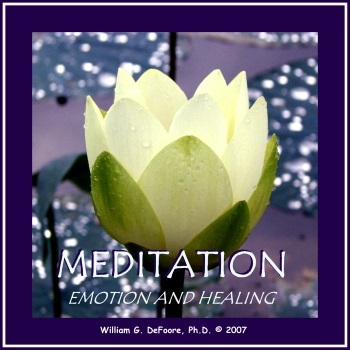 This 2 CD program will give you the basics and get you started on meditation and emotional wellness. Master this, and you will never need anger management CDs again. The primary key to lasting anger management, stress management and emotional wellness is self-love. The more you love yourself, the better care you will take of you and your relationships. Self-love requires that you heal the emotional wounds of your past, which is what you can do with this powerful and effective audio CD program. This one is guaranteed to stand out from all the other anger management CDs you will find! Are you ready to step up and soar into your highest and best? Here is the key to fully accessing and activating your courage, creativity and curiosity as you expand your capacity for love and joy in all aspects of your life. 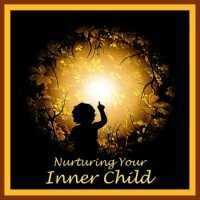 Now that you have healed old emotional wounds with the Nurturing Your Inner Child program, you've ready to unleash those powerful and beautiful aspects of the child that you were born with, to take your self help motivation to a whole new level. Limited Time Offer! Get yours now for only $9.95! The more optimistic and positive you are, the lower your stress, and the less likely you will get angry. While these may not be what you would usually think of as anger management CDs, that's exactly what they are! Listen, and you will see how the more good you find in yourself and others, the more peaceful and loving you will be. In this CD/audiobook program, you will learn of many wonderful things happening within you and all over the world. Focus on your assets and strengths, and you will raise your immune function and enhance your overall health and happiness. 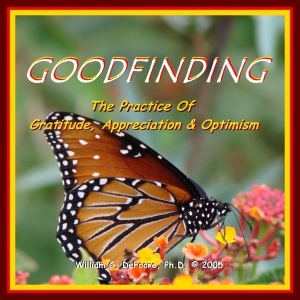 Learn the skills to be a Goodfinder, and create the life you have always dreamed of! Did you know that folks with a positive attitude about aging live 7.5 years longer than those with a negative attitude, and have more fun in the process? Of all of the anger management CDs you listen to, this one may surprise you the most! 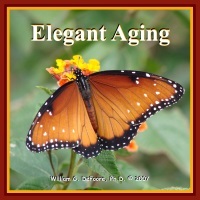 What if you decided to age with elegance, grace and style? Sounds pretty good! Aging is living; it starts at birth and ends when we die. The root definition of "old" means to strengthen and increase. Use the challenge of aging to discover the amazing power of your body for self-healing, and the power of your mind to create the life of your dreams. Money problems and financial pressures cause more stress and anger problems than most other causes combined! I don't know if you ever noticed, but we were not educated on financial intelligence in school, any more than we learned about emotional intelligence. Well, here's your chance! Learn how the economics of emotion work just like a financial balance sheet, and how you can create financial freedom and a strong sense of well being in your life. Definitely not one of your typical anger management CDs, this will take you closer to where you want to be. 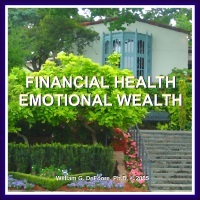 Raise your financial and emotional intelligence with this CD/audiobook program today! In this program you will learn the basics of financial freedom and how it can lead to the fulfillment of your life purpose. The economics of emotion work much the same as the economics of finance, and understanding your Emotional Balance Sheet will put you ahead of the game in every aspect of your life. In this program you will learn how to transform your liabilities into assets, and use the incredible power of belief to create good fortune in your life! What Do You Think Of Your Product? Please give any and all feedback you choose to about the book, Ebook, CD or audio download product you purchased. We are constantly striving to give you what you want and need to manage your emotions and create great relationships, so here's your chance help us to help you! Your story will appear on a Web page exactly the way you enter it here, if it is selected. You can wrap a word in square brackets to make it appear bold. For example [my story] would show as my story on the Web page containing your story.